School is back in full swing for me. This year I’m actually doing it-not perfectly of course. But I have to say Teachers Pay Teachers (TPT) has made my life sooo much easier. 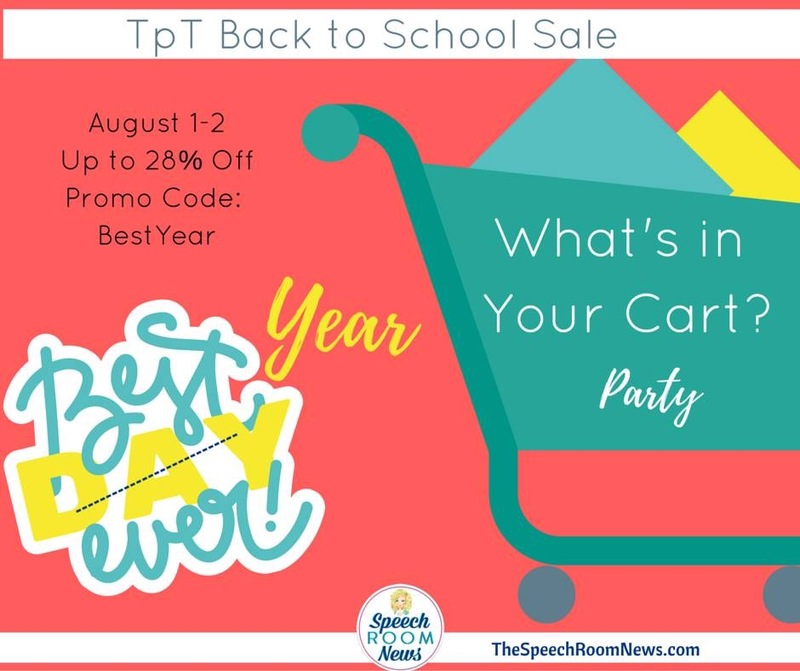 When I first discovered TPT, I was just downloading freebies left and right and buying products that were cheap. Now, I’m a little more discriminating. Just because something is free or inexpensive doesn’t mean it’s the right product for me. 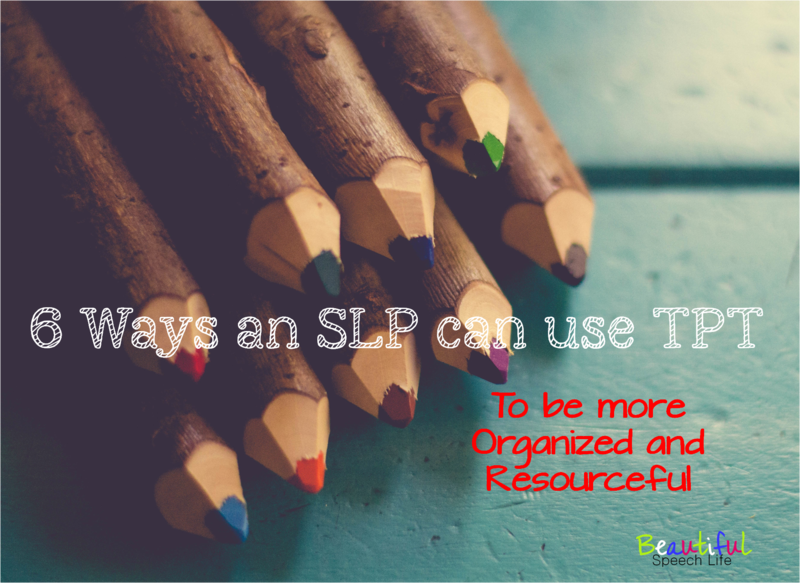 Here are 6 ways that I use TPT to make me more organized and the therapy materials I need at my fingertips. 1. Buy staple items that you know you can use every year. Watch for items that are Core Curriculum Aligned. 2. Consider your teaching/therapy style. Do you like worksheets and paper/pencil activities or do you motivate students through cards and games? Get products that you can easily picture yourself using. Do you need activities with no or low preparation time? Or do you love having colorful,laminated materials and don’t mind cutting laminated items while you watch the latest episode of The Bachelor? Purchase items that will fit into your way of doing things. 3. Don’t re-invent the wheel. 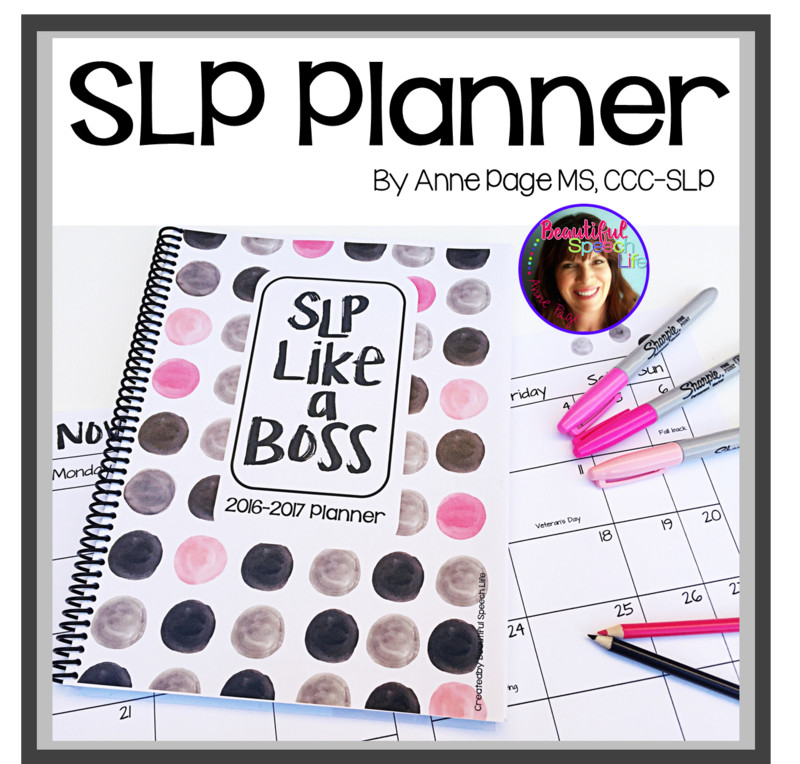 You can get planners, data sheets, forms, posters, homework sheets, brag tags, and punch cards on TPT. Get SUPER organized by using them. When I need something I save myself time by searching their stores first (less to scroll through than when I do a site-wide search). Kids get so excited about holidays (so do I). Fun seasonal materials can breathe new life into concepts you’ve been working on. You want them to be easily accessible. I use Globe-Weiss clear plastic envelopes with colored ziptops (from Amazon). I print the product cover page and place inside to use it as a label. These are really sturdy and can stand on a shelf. 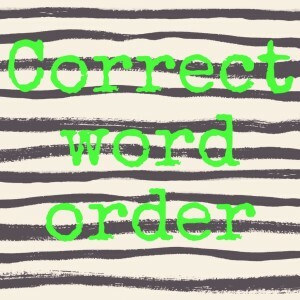 So there you have it, 6 easy ways to help you be organized, effective and fun by using TPT. Which tip will help you the most? Leave a note in the comments below. Did you like this post? If you did please share with your friends! 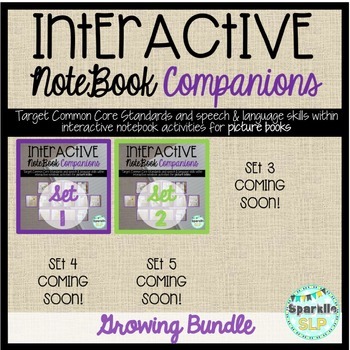 And head on over to my TPT store to find some fun organizational and game-base products. 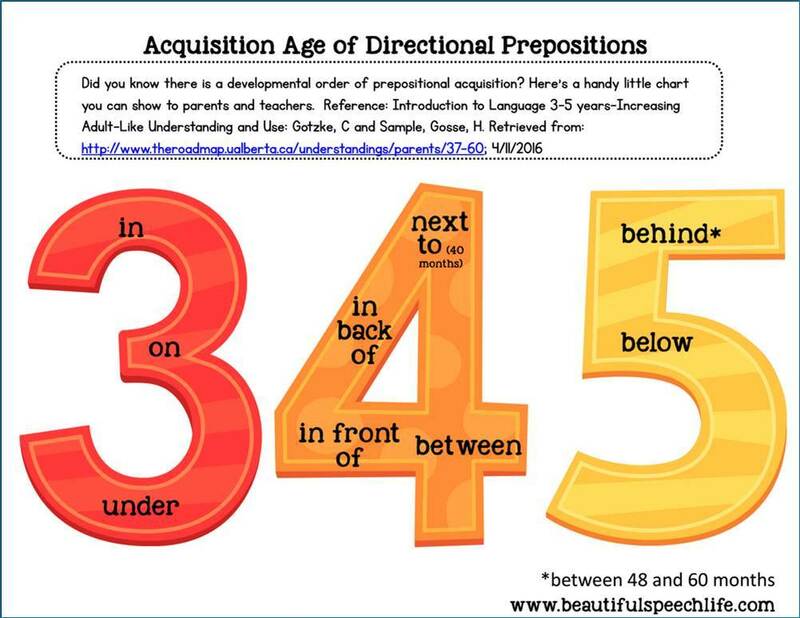 So what exactly is preliteracy? This term covers all the areas a child needs to get ready to read. 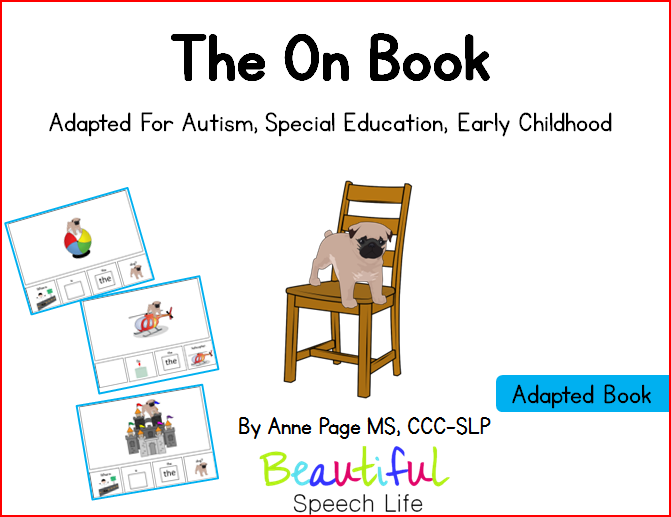 It includes important skills like oral language and phonological and phonemic awareness (the awareness of sounds), as well as knowledge of the alphabet and an understanding of common print concepts (print goes from left to right and from up to down on a page, how to hold a book). 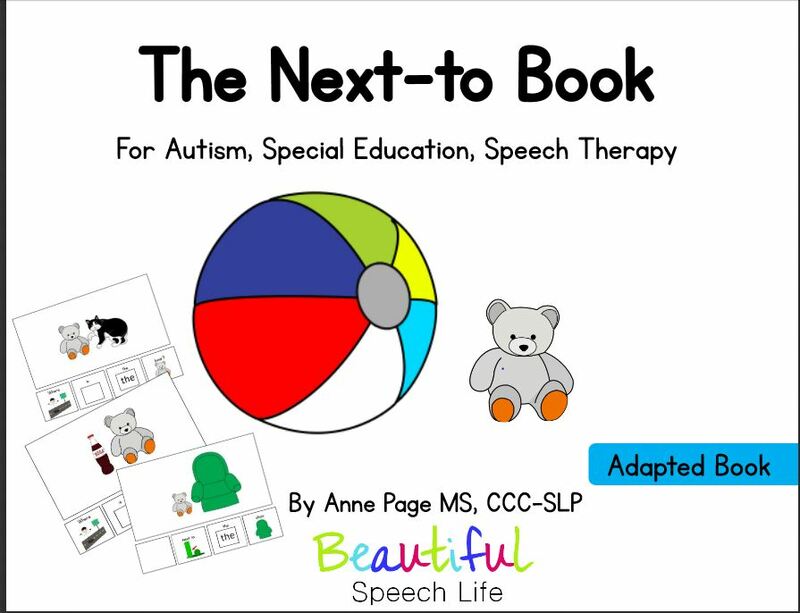 A child that has been identified with a speech and/or language impairment (SLI) can be at a higher risk for having reading difficulties. Studies have indicated that as many as 40-75% of children with SLI will have problems learning to read. Get excited about what you are reading to a child, enthusiasm is contagious. Talk about why you like the book and what you like about it. Be animated. Let him know that it was your favorite when you were a child or that you read it to your little girl. Help them to make an emotional connection. When using books in therapy to help develop vocabulary and sequencing skills, take this time to point out the title and the author. Let the child turn the pages. Track with your finger under the words as you read them. 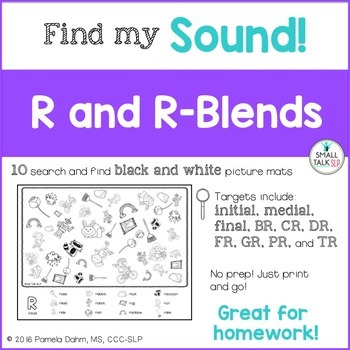 Help kids play with sounds to help them understand that words are made up of smaller sounds. Sing songs, read books with rhymes. Play a funny rhyming game with their names. Need I say more? 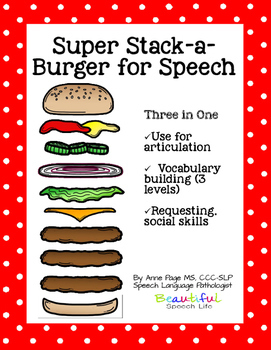 As SLP’s we are all about expanding vocabulary. 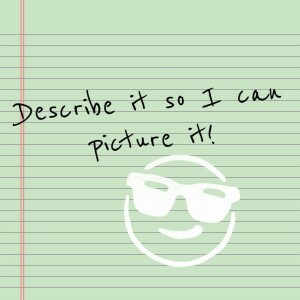 Label the pictures. Talk about some words that you think might be unfamiliar. When you come across those words in the text, ask if they know what it means. If not, talk about the words and place them in a familiar context. Ask questions about the story that can’t be answered with yes or no. Ask him to retell the story; if this is too hard provide a scaffold by asking questions or giving choices. Learning about letters and know what sounds they make is so much fun. Help kids get excited about recognizing the first letter in their name and make a game of looking for letters in their environment. Make playing with letters fun and multi-sensory. Learning the letters of the alphabet is a big part of Kindergarten. It can be challenging to incorporate the repetition kids need and to keep them interested. 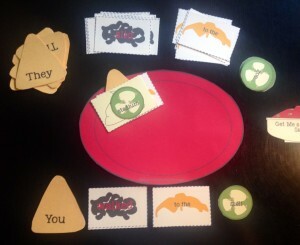 I created this Letter Recognition and Sound game to do just that. It’s an engaging, colorful activity with two levels of play. 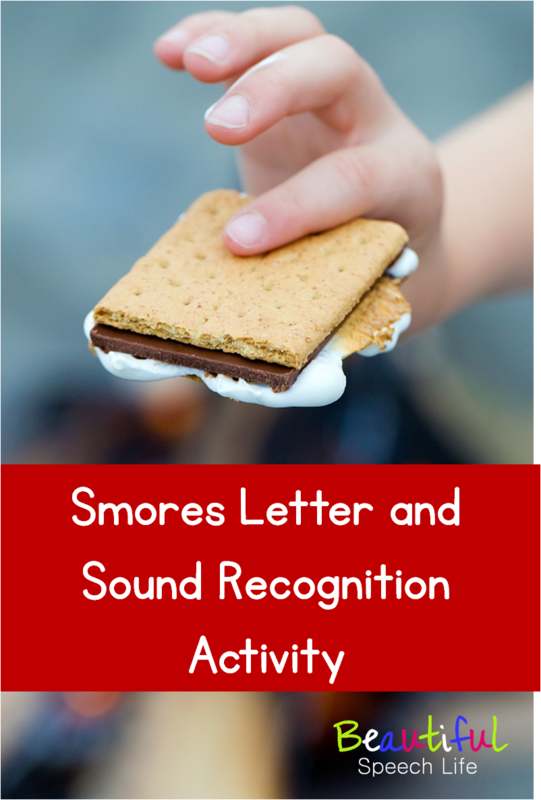 Students can apply their knowledge of letters and letter sounds as they play games and interact with letters by flipping over the cards and building a smores. Smores are available by clicking on this link to my Teachers Pay Teachers Store. 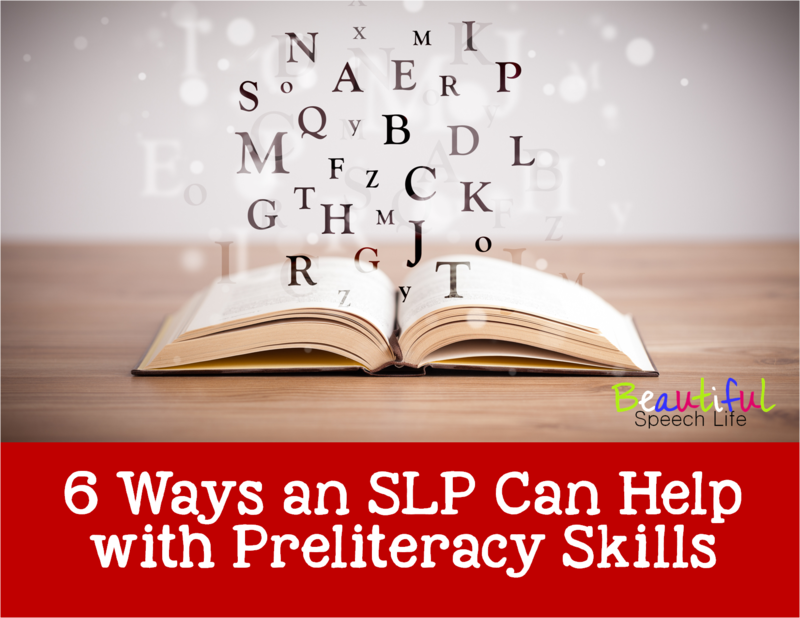 So there you have it…6 Ways an SLP can help with preliteracy skills and have fun doing it! If you like this post, sign up to receive emails for more inspiration and ideas every month. Keep up the great work, we are changing lives one child at a time. Don’t miss the last day of the big sale! It’s back to school time and Teachers Pay Teachers is making it a little easier to go back. The big site wide sale is on all day August 4th. Take some time to fill your cart and get up to 28% off. (Pssst….Use the code BTS15). I don’t know about you but my cart is full! So many great resources for such great prices. 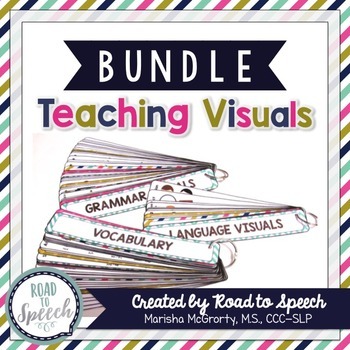 My newest product is all about vocabulary!. 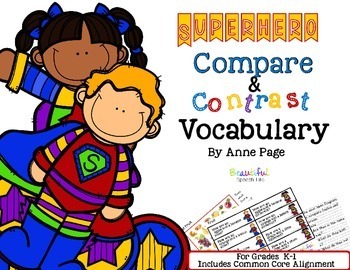 I have linked the activities to the common core curriculum to provide 6 lessons that will help increase vocabulary and reading comprehension. 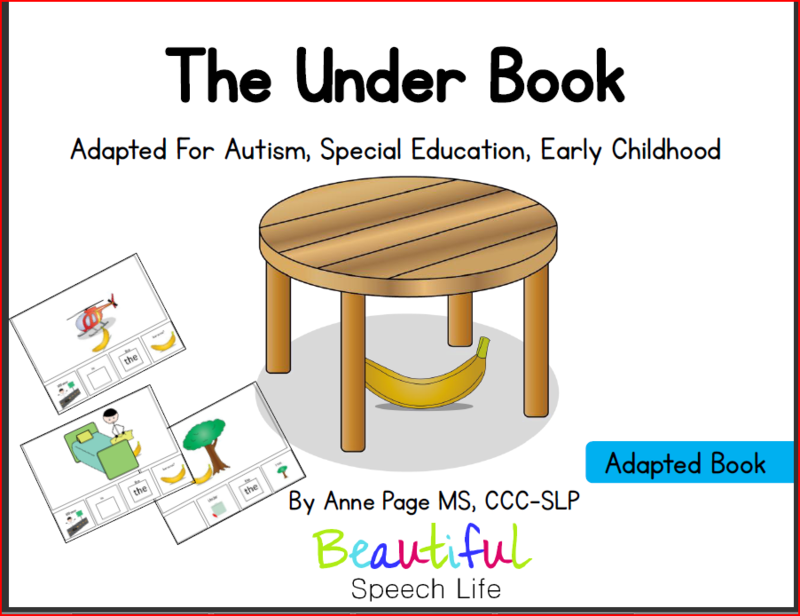 I hope you love it…I included QR codes, photos, and reading comprehension questions to make it fun, multi-sensory, and functional. 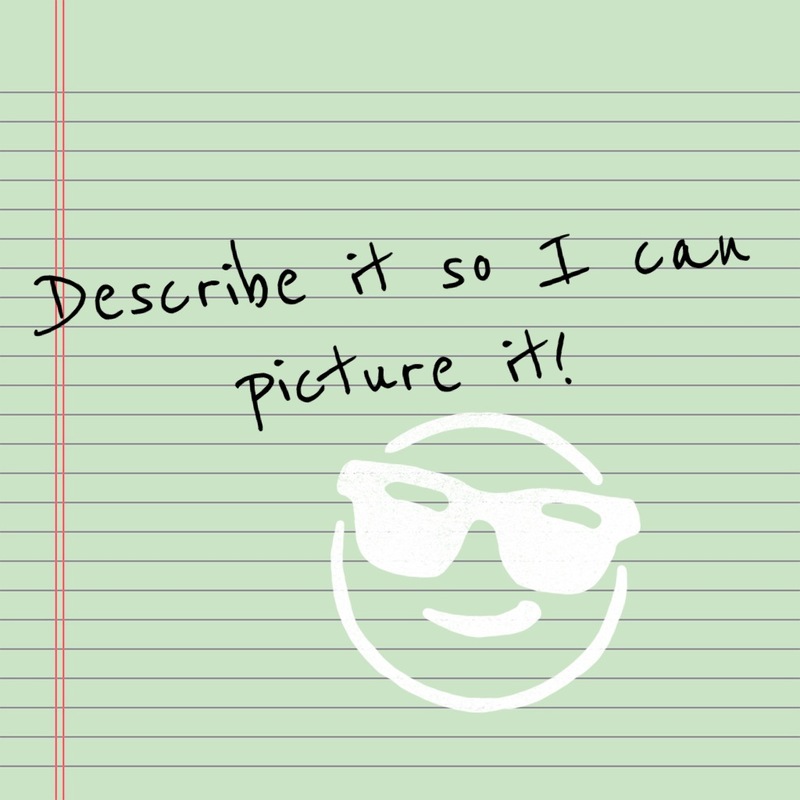 Who wants their students/clients to speak and write more descriptively? I know I do. I created the Nacho Sentence Builders as an engaging activity to do just that! 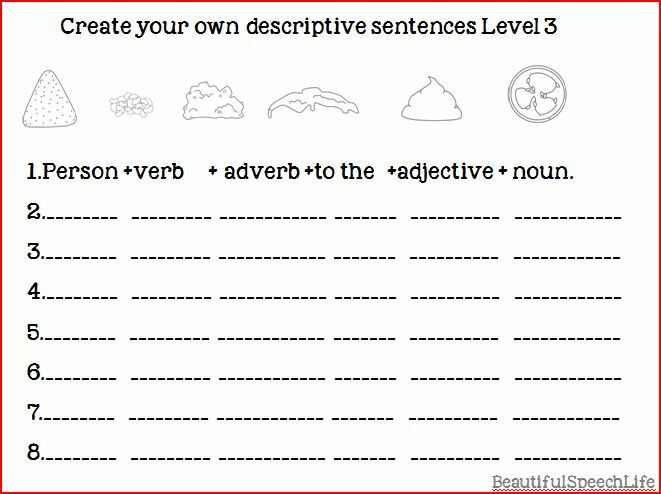 This fun game helps students learn to build more detailed sentences using adjectives and adverbs. 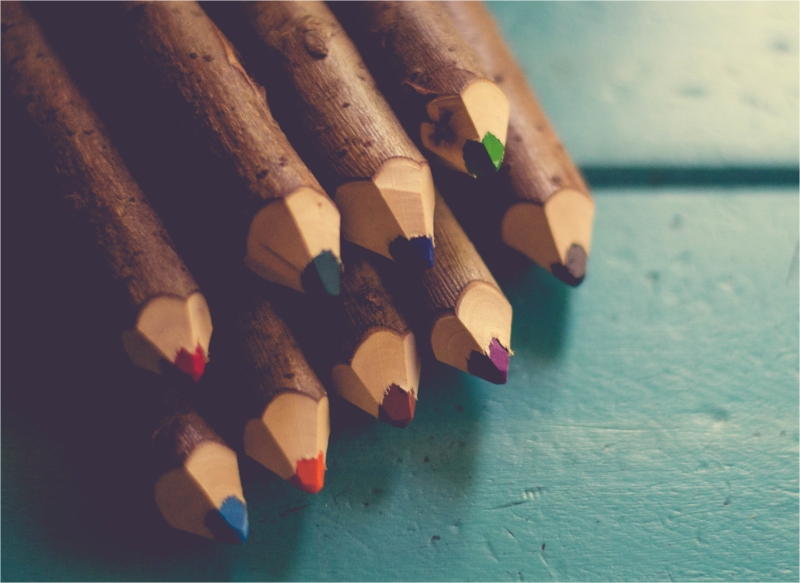 Aligned with Common Core Standards (Speaking and Listening 2.4, 3.4, 4.4, 5.4), there are at least three different levels of play(more if you use your imagination). 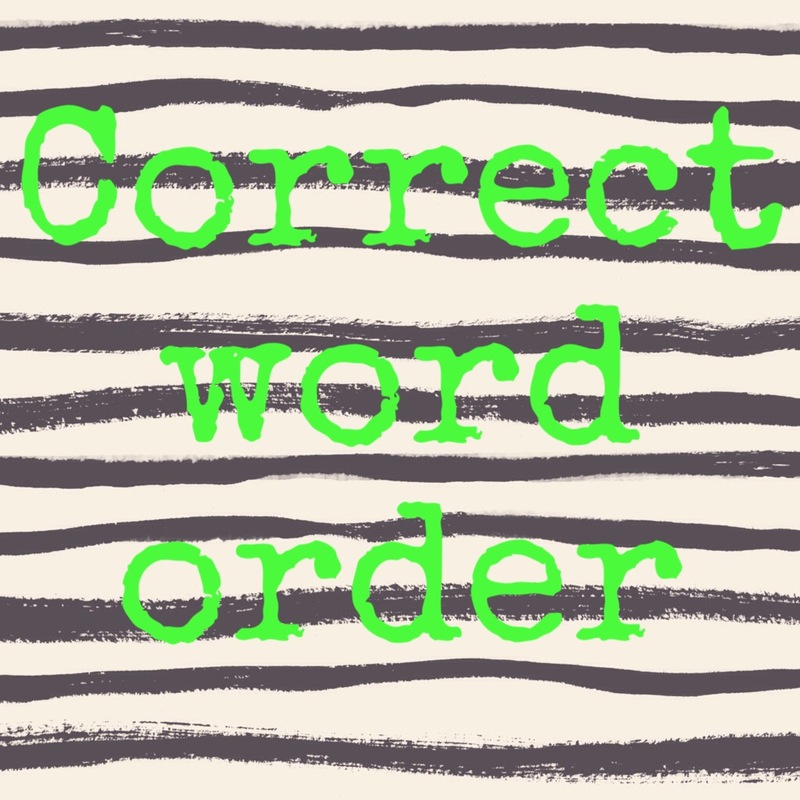 Research tells us that solid syntactical skills rely on understanding and use of correct word order and organization. 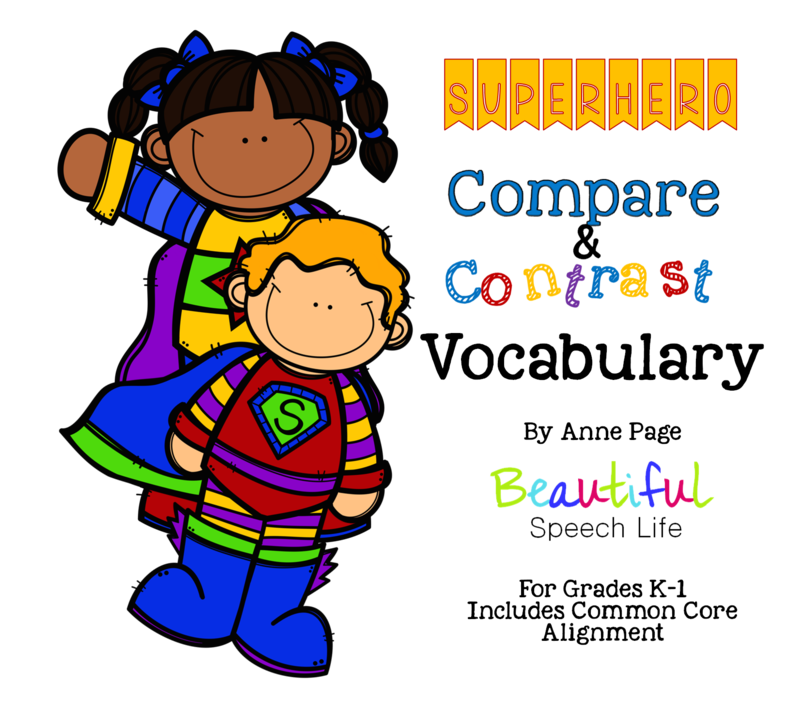 By providing these written and oral examples of sentences you are helping your student move from simple sentences to richer, more detailed sentences. 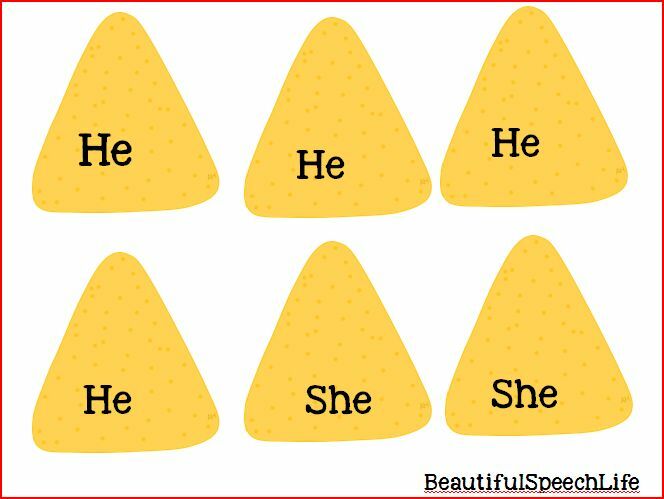 As we know (and studies prove), repeated modeling and opportunities for practice are needed for students to solidly acquire these new grammatical forms (Gummersall & Strong, 1999). While playing the game, take the opportunity to talk about how the adverbs and adjectives change the meaning of the sentences. 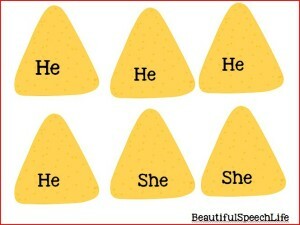 Use examples such as how is “big” different from “humongous”? Use a white board and make a scale starting at “teeny” and incrementally moving up to “giganitic” (Nippold, 1998). 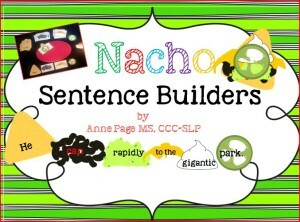 Nacho Sentence Builder includes all the fixin’s you need to make simple or loaded nachos. Mmmm, hungry yet? 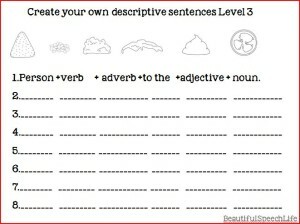 I also included three leveled writing/homework sheets. 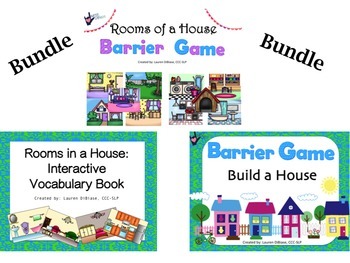 This game is perfect for small groups and is geared toward 2nd – 5th graders. Now available in my Teachers Pay Teachers store! Did you like this post? Please sign up to receive email notifications of new posts. 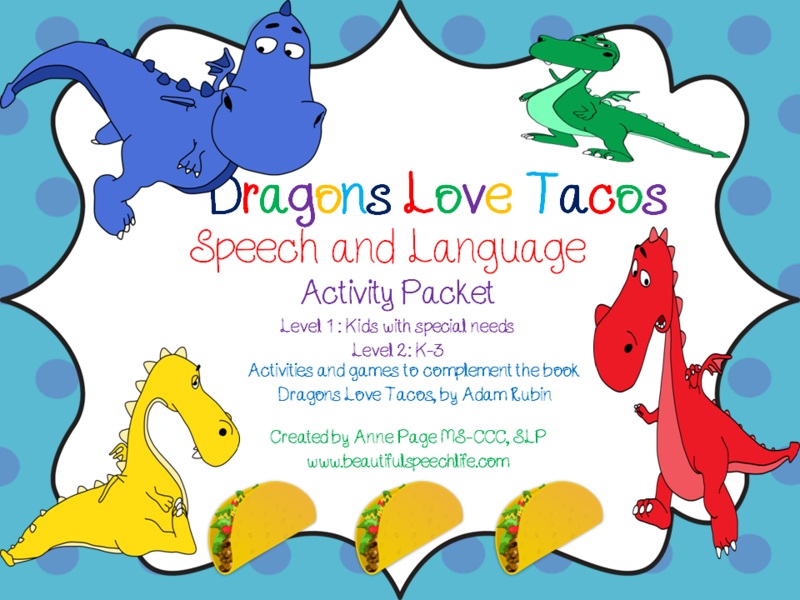 Share with an SLP or teacher friend!